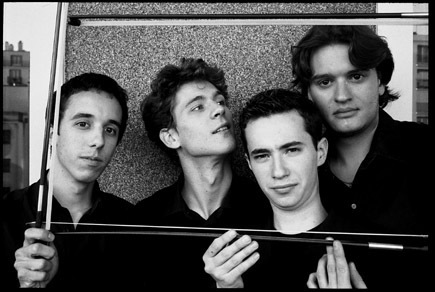 The New York Times called them “a string quartet that can easily morph into a jazz band,” describing how they first performed Haydn and Debussy before transitioning to their own arrangement of music from the movie Pulp Fiction, improvising to Chick Corea, and unveiling their vocal talents as an excellent a cappella quartet. There is no doubt that these four French musicians have class, moving with ease and enthusiasm between different styles, always with taste and integrity. Quatuor Ébène makes its UMS debut with a program that begins with Mozart and Mendelssohn before diverging off into an unpredictable path that is sure to delight.